Worldwide Cruise Terminals (WCT), manager and operator of Hong Kong’s Kai Tak Cruise Terminal, announced another record-setting day with 15,307 revenue cruise passengers on June 15, as the terminal hosted both the World Dream and Ovation of the Seas. The occasion coincided with the terminal's fifth year anniversary of being in operation. This breaks last October’s record of 13,327 passengers on the same day. 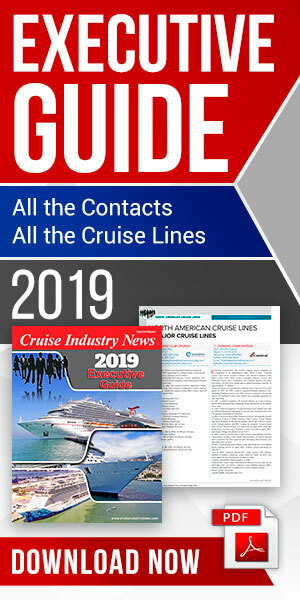 Jeff Bent, managing director of Worldwide Cruise Terminals said: “We are delighted to see our cruise line customers obtaining very high load factors at attractive yields. Our operations team now handles five-figure throughput days regularly, and we look forward to the next opportunity to break the record again." WCT also won the biennial CILT Service Excellence Award (SME Division) from the Chartered Institute of Logistics and Transport in Hong Kong (CILTHK) and received the award during CILTHK’s 50th Anniversary Gala Dinner on June 22. The award was presented to WCT by The Hon Frank Chan, JP, Secretary for Transport and Housing and Tsang Wing-hang, the President of CILTHK, in the presence of the Hon Frankie Yick Chi-ming, SBS, JP, Legislative Councilor for the Transport Constituency and other transportation and logistics industry luminaries. The biennial CILT SME Service Excellence Award evaluates how transport and logistics companies perform across a number of metrics, including customer satisfaction, environmental stewardship, infrastructure, innovation, operational effectiveness, quality management, and risk management and control.